LUL ran some more steam specials on Sunday 8th December 2013 to celebrate 75 years since the present terminus at Uxbridge came into use, the train shuttling between Harrow-on-the-Hill and Uxbridge. 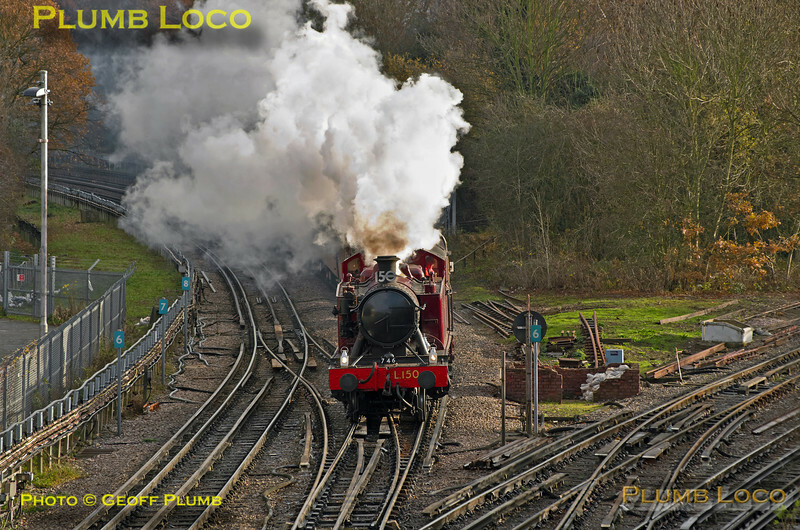 The steam loco was supposed to be Met No. 1 but unfortunately the engine was failed the day before so the duty fell to the GWR "Small Prairie" 2-6-2T No. L.150 in LT livery. Here the 10:50 from Harrow is approaching the junction with the Picadilly line at Rayners Lane at 10:54 with Met No. 12 "Sarah Siddons" behind the tank engine, the 4TC set of coaches and Met Coach No. 353 with Class 20 No. 20142 bringing up the rear of the train. Digital Image No. IGMP2082.